We will continue our conversations with major leaders in the Anglican Communion. We will be privileged to have as our keynoter Dr. David Frank Ford, the Regius Professor of Divinity at the University of Cambridge, where he has taught since 1991. 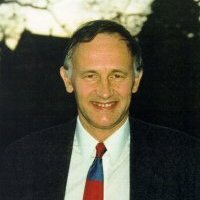 He is also a Fellow of Selwyn College. His election to the Regius Professorship is notable, as he is the first to hold that position who is not in Anglican orders. Prior to arriving at Cambridge, he served for 15 years as lecturer (and later senior lecturer) at the University of Birmingham. He has written chiefly in the area of Christian theology inspired by post liberal theology and narrative theology. His present interests include the interpretation of Scripture in the context of interfaith engagement. He is one of the founders of Scriptural Reasoning and has been extensively involved in generating new modes of engagement for inter-faith relations in the post-9/11 world. Other interests include the shaping of universities and of the field of theology and religious studies within them, interfaith dialogue and the relation of faiths to secular cultures, traditions and forces. He will be joined by his wife, the Rev. Deborah Ford, who currently serves as assistant chaplain at Addenbrookes Hospital, which is part of the Cambridge University Hospital system. David F. Ford, Christian Wisdom. Desiring God and Learning in Love (Cambridge University Press, 2007) chapter 2. Ellen F. Davis and Richard Hayss, The Art of Reading Scripture. Ellen F. Davis, Proverbs, Ecclesiastes, and the Song of Songs. Micheal O’Siadhail, “Sunday Morning Chez La Masseuse“, Our Double Time. Patrick Kavanagh, “Canal Bank Walk”, Collected Poems (London 1972).